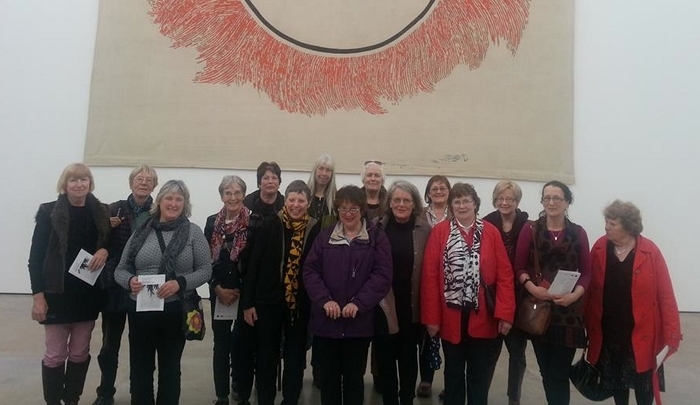 Members of the Kinvara Area Visual Artists group. AN EXHIBITION of paintings, ceramics, and sculpture by Kinvara based artists opens in the south Galway village tomorrow. Entitled All Aboard, the exhibition, by the newly formed Kinvara Area Visual Artists group, is in the pop-up gallery in Market Square between the Kinvara Pharmacy and Kinvara Guesthouse. The exhibition will coincide with RNLI Annual Family Fundraising Day which takes place in Kinvara on Sunday and 10 per cent of the proceeds of sales from All Aboard will be donated to the RNLI. KAVA was formed earlier this year to promote and support the visual arts and the artists in the Kinvara area. All Aboard is open daily from 10am to 6pm and runs until Sunday July 20. See Kinvara Area Visual Artists on Facebook. Kawaii, ne? - Isn’t it cute?